Y primeros en el tema de la gesta heroica del pueblo* argentino de 1982, la batalla por la reconquista de Malvinas. *Las Fuerzas Armadas son parte del pueblo. 1982, and replacement by a clone carrier"
Pasamos las 135.000 personas diferentes. Por otro lado tambien pasamos los 4 millones de personas. A 5 horas de mi ultimo posteo, pusimos un record de 73 personas simultaneas en linea. Who was the most successful military leader in history? How were they successful? What nation/empire did they fight for? How did their victories make that nation successful? How did they influence their nations and the modern world? Did Argentina sink or damage HMS Invincible in the Falklands War? Why did the S.A.S, back in the day, wear a gas mask, rather than a ballistic helmet? How would you rank all colonial empires from the most inhumane to the most humane in its treatment of conquered peoples and why? 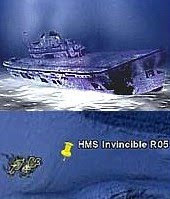 Why do Argentines continue to believe that they sunk HMS Invincible during the 1982 Falklands conflict? Is there a secret to building wealth? Here are my top 10. I’ve been poor and rich. Rich is more fun. Does the British Navy today still hold naval supremacy over the English Channel? Would the British get offended if the Russian Navy sailed through the channel as part of their freedom of navigation? Who were the most barbaric colonizers in the history? What do ordinary British people think about the British claim to the Falkland Islands? The islands are eight thousand miles from their coast. Is artillery the safest fighting branch of a military? Pasamos las 180.000 personas en Youtube. Nos acercamos a los 2 millones de lecturas.